Popular Facebook-owned messaging app WhatsApp this afternoon announced that the WhatsApp apps for iOS and Android devices now support group calling for voice and video. WhatsApp says that its group calls are end-to-end encrypted and designed to work reliably around the world in a variety of different network conditions. The feature, which was first announced by Facebook in May at its F8 developer event, is rolling out to iPhone and Android users and should be available to all users soon. Not sure what's the point of WhatsApp these days since it doesn't seem to have much differentiating features compared to FB Messenger. I don't understand your comment. Isn't WhatsApp the worlds most used messaging app? A simple UI for group chat. Much nicer than Apple’s weird floating video rubbish. Encrypted and private messaging should be enough. Other than the difference of phone numbers/fb accounts though, there are hardly any outstanding differences. Facebook could easily have folded one app into the other and I doubt anyone would complain. Doesn't matter at all because realistically you just use what your friends use. In the US, nobody uses WhatsApp. In other countries, they do, sometimes because their restricted Internet plans don't allow anything else. Quite simple, many people aren't (or weren't) on Facebook when WhatsApp reached it's critical mass (which is essential to even have a chance as a "platform"). Since you can use it with just a phone number and nothing else it is easy to set up and just works. That's because it's tied to your mobile number, which the iPad doesn't have. You can use the web version on the iPad. Tied to a mobile number is not an issue as you mentioned the web version works without the need of any phone number. As long as the WhatsApp server can verify which number the account is registered to, it should be able to provide access. They can potentially use exactly the same method of authentication as they do on web but for an iPad app. I think they’re not interested in an iPad app purely because of the user base and the numbers against the smartphones. Well that’s opinionated. I disagree. I feel that Apples version is more enchanting. More esthetically pleasing and clever. What’s Apps’ version of simplicity without esthetics is boring. You need to have people to message in a messaging app. WhatsApp makes that harder even to contact people you know. You're having to go ask around for phone numbers, right? If it’s someone I know or directly contact, I’ll have their number. I have numbers or email addresses for everyone I need or want to contact. Your point of view is skewed by your location. If you're in one of the 100+ countries where WhatsApp dominates, it's FB Messenger that is pointless. 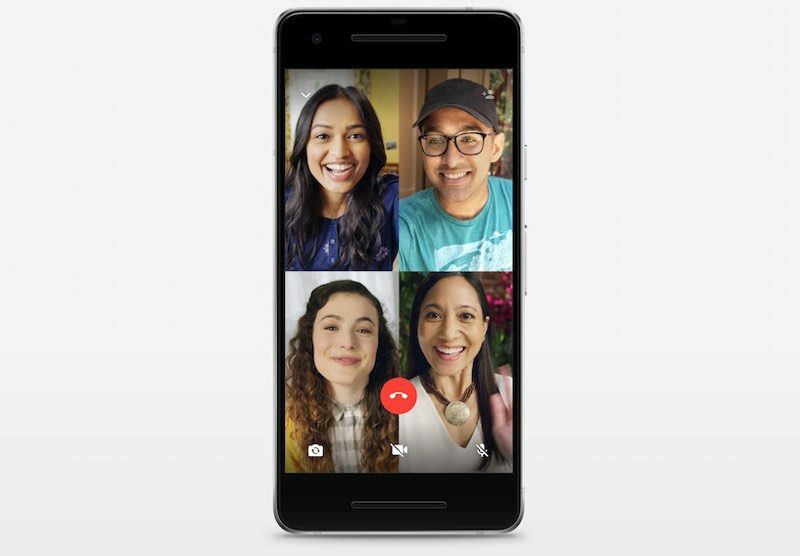 This new WhatsApp group calling feature just made Skype and many conference calling services pointless for many applications. That's why I said "if everyone were starting fresh." I know people use WhatsApp mainly because their friends do. It’s a good cross platform alternative for people without a Facebook account and also for people who need to communicate with others who aren’t on their Facebook. You can message non-FB contacts on FB Messenger, and there's no reason to not make a FB account. The point is you can use it to log into FB Messenger and most other sites requiring login, and you can very easily find your friends once you seed it with a few manually, since it then suggests more people with great accuracy. Likewise, your friends can easily find you if your fake name or photo gives a slight hint because you'll already be connected to many people they're connected to. The site itself is not awful now that it's mainly used for groups and pages, neither of which requires a real identity. I've used groups for housing, buy/sell, and clubs. It's easy for strangers in groups to reach you on FB Messenger if you need them to. So in other words, there is no reason to have a Facebook profile if your only objective is to have a messaging app like WhatsApp, which allows me to select who I choose to connect and communicate with, and doesn’t reveal anything to the public.